My dictionary will be merely the task of my leisure hours. Since I wish very much to do a thorough piece of work, I shall not hurry. I shall go quietly on, with all the help I can get, and I hope that in time you will see it done satisfactorily. Boswell’s journals reveal that his compilation plan involved recruiting several collaborators, as well as advertising for material in the Scottish press; at one point, he even planned to include illustrations. Although Boswell continued to work on his dictionary during his subsequent travels through Europe, and was able to show a specimen of his work both to Johann Gottsched in Leipzig and to Johnson on his return to England, he later abandoned the project and his work was never published. Until Boswell’s journals began to be published in the 1950s, the only evidence of Boswell’s plan was a brief mention in the Life of Johnson. Boswell notes that on 19 October 1769, Johnson ‘advised me to complete a Dictionary of words peculiar to Scotland, of which I showed him a specimen. “Sir, (said he,) Ray has made a collection of north-country words. By collecting those of your country, you will do a useful thing towards the history of the language.”’ When he came to write the Preface to his own Dictionary, in 1808, Jamieson included this anecdote as evidence that ‘the great Lexicographer of England, although not partial to our country, expressed his wish for the preservation of its language’ (Jamieson’s Dictionary, p.v). Click here to see a portrait of Boswell, painted during the time that he was compiling his Scots dictionary, from the online collection of the Scottish National Portrait Gallery. 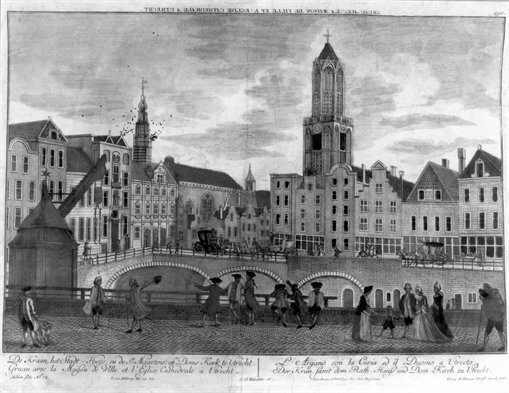 Boswell in Holland, 1763–1764, ed. by Frederick A. Pottle (London: Heinemann, 1952), pp. 158–63. James Boswell: The Journal of his German and Swiss Travels, 1764, Research Edition, ed. by Marlies K. Danziger (Edinburgh & Yale University Presses, 2008), pp. 110, 141, 146-7. Hitoshi Suwabe, ‘Boswell’s Dictionary’, in Samuel Johnson and James Boswell (Chuo University Press, 2009), pp. 41-46.